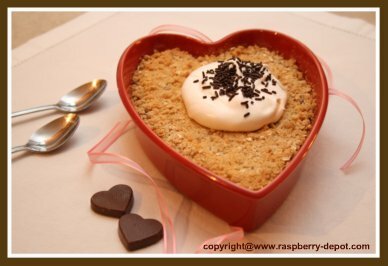 Food Recipe Ideas for Valentine's Day, Mother's Day, Father's Day, or a Romantic Meal! I ♥ Love ♥ making heart shaped recipes. It's fun to add that "special touch" by creating food in the shape of a heart! If you are looking for cool ideas for making food in the shape of a heart, you have come to the right place. Whether you are looking for a special recipe to make for Valentine's Day, Mother's Day, (Mom would be so surprised! ), Father's Day, Wedding Menu or any Romantic Celebration, here are some ideas that will inspire you! What food recipes can you make heart-shaped? 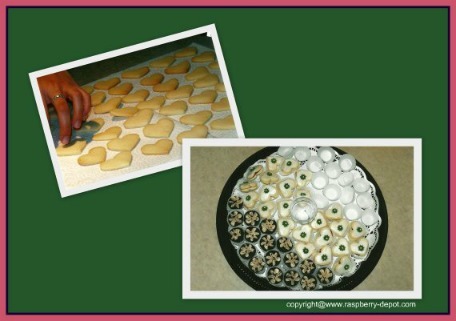 You can make heart shape cookies, cake, scones, pancakes, French toast, brownies, semifreddo, biscuits and even salad! 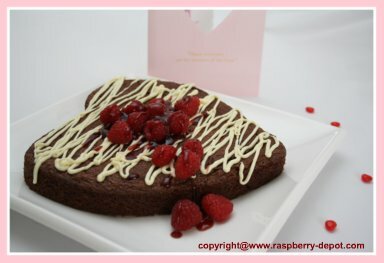 Raspberry recipes are especially suited for being created in the shaped of a heart because of their red colour! Red is, after all the colour of love, isn't it? The Colour of Love - What's in a Colour? 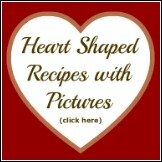 All the heart shaped food recipes you find here are easy to make. All the pictures are original, and these recipe pictures have not been altered by a photo-enhancement program. (That's true for ALL the images on this website! What you see is how the recipe turned out for me!) As I have written over and over again, the recipes on this website are simple, and if I can make them, anyone can! And, keep checking back, heart shaped food recipes will be added from time to time. So, Let's get baking, or salad making with a ♥ ! 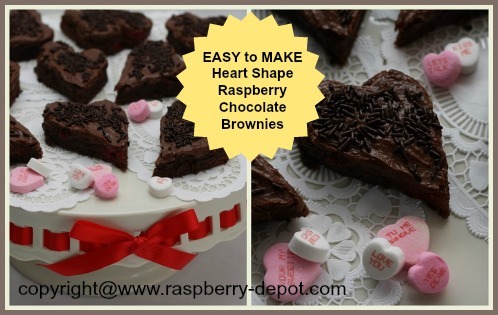 This Heart Shaped Brownie Cake is very easy and fun to make! It is one of those recipes that may look a little difficult, but it is really quick and easy to make. I just made the sauce from melted, pure seedless raspberry jam. 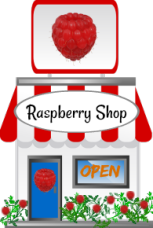 For a really special treat you can make your own amazing raspberry sauce. Looking for an Idea for a Gluten Free Chocolate Cake? 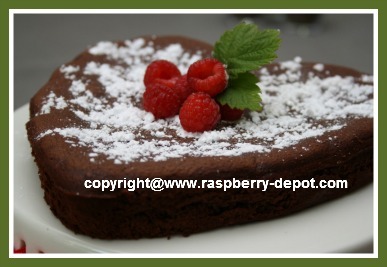 An Easy to make Valentine's Day Cake for someone on a Gluten Free Diet? Here is a Gluten Free Chickpea Chocolate Cake Recipe. 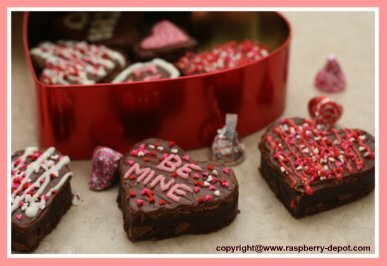 This easy recipe makes delectable Heart Shaped Raspberry Brownies for your Special Person or People on Valentine's Day! 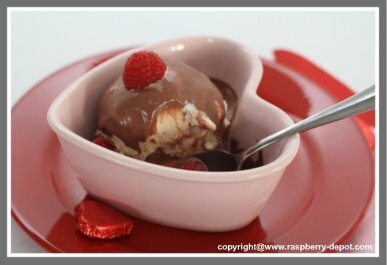 Chocolate and Raspberries combine for one fabulous flavour! I believe that this is THE Best Brownie Recipe ever! Made from "scratch"! My daughter served these when we visited her and her husband last weekend...the recipe is originally from her mother-in-law. These brownies are more chewy, less cakey that some other brownies. Although usually made in round shapes, these amazing Belgian Cookies (the best cookies in the world! ), can be cut in any shape you like. For my daughter's Wedding Reception we included these Belgian Cookies cut into the shape of a heart. 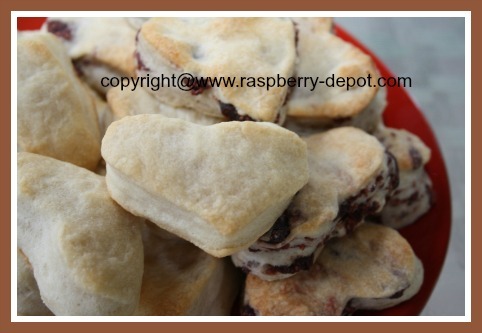 Also a great cookie recipe idea for your Valentine, or your Mom or Dad on their special day! 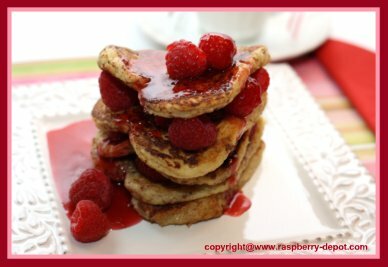 This Pancake Recipe with Raspberry Maple Syrup makes Heart-shaped Berry Pancakes and a simple-to-make raspberry syrup made of red raspberry jam and maple syrup! Make them from "scratch" or purchase the pancake mix. 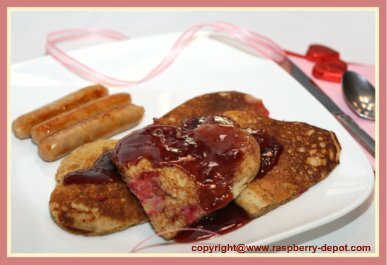 How to Make Heart Shaped French Toast with raspberry sauce - a great for a special breakfast for Valentine's Day, Mother's Day or Father's Day! What an easy-to-make way to show Someone Special that they are loved! Say it with a heart, a hug, or a kiss! 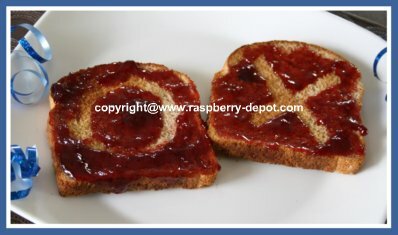 A Great recipe idea for kids to make ... or to make for kids! These Delectable Biscuits are so simple to make! Make them for Mom or Dad on their Special Day, or for your Special Someone for Valentine's Day or an Anniversary Surprise! 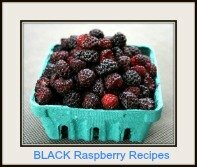 Make them plain, or with dried raspberries or other fruit! This Mixed Green Salad with Raspberries is a great choice for any occasion which calls for a salad! 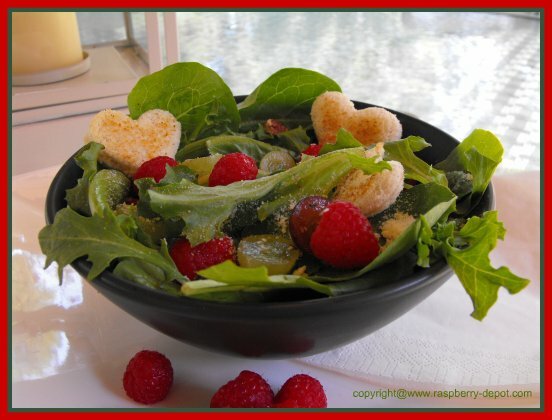 The addition of grapes, raspberries, and pecans gives this lettuce salad additional sweetness, and the home made heart shaped recipe for croutons gives it a sprinkling of LOVE ♥ ! 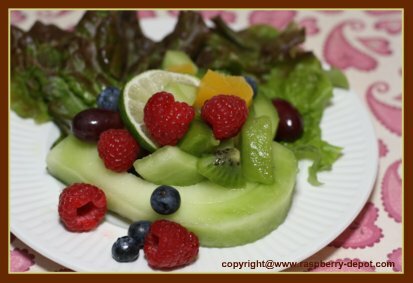 This Healthy Raspberry and Mixed Fruit Salad includes a melon ring that can be made in any shape. A heart shaped melon ring makes a perfect salad idea for your Valentine, your Mom or Dad on their Special Day, or for a Wedding Salad - for something different! 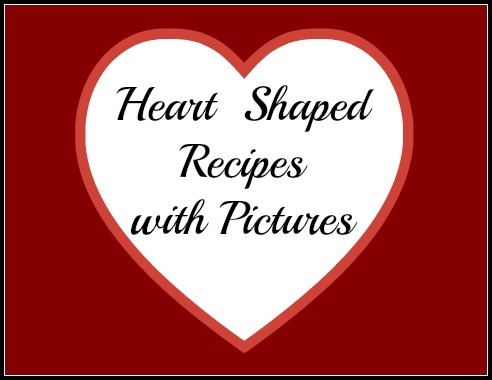 Perhaps you don't have the time to make heart shaped recipes, but you do wish to present food with a "heart theme", especially for a special occasion. Why not consider serving food in a heart shaped dishes? I love these special dishes (below)...food served with ♥ love ♥ ! Scroll down for heart-shaped dishes available to be purchased on-line from Amazon.com, and, in most cases have them delivered to your door! 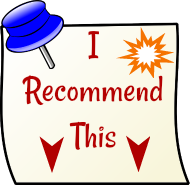 Click on the images below for further product information and product reviews. These products are available for purchase online at *Amazon.com.